3 DAYS. 300+ PEOPLE. 20 COUNTRIES. 21 STATES. 26 TEAMS. It’s 2018 and we can now take an electrocardiogram on demand, right from our wrist. Our personal devices are growing to become guardians and companions to our health. What’s the next frontier? Medicinal cannabis and industrial hemp are growing into multi-billion dollar industries. How can tech drive the connection between these industries and a healthier future? Philadelphia makerspace NextFab will be on site to provide consultation to our participants. 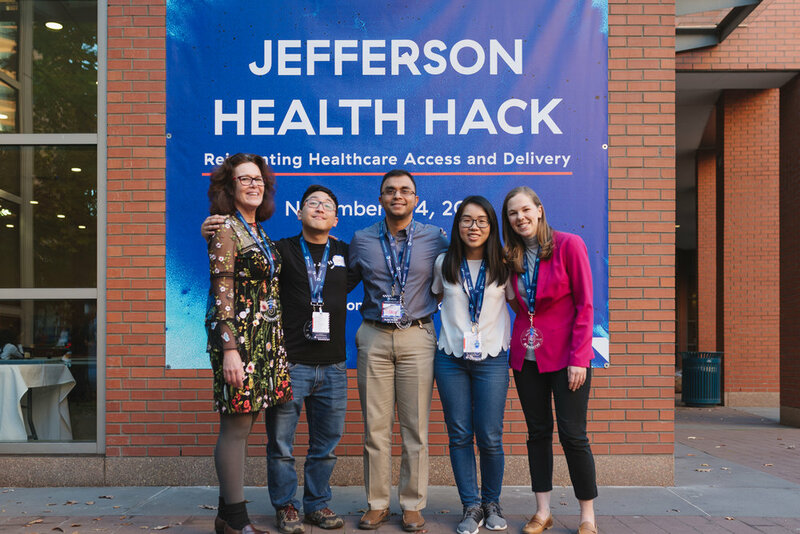 NextFab will also be opening their South Philadelphia location exclusively to the Jefferson Health Hack on Saturday! Learn more about their facility and sign up to take a tour here. 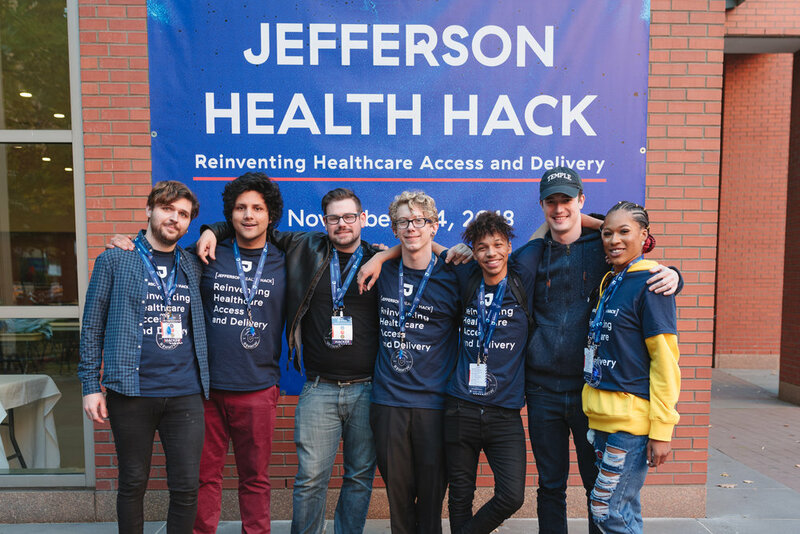 Jefferson’s Digital Innovation & Consumer Experience (DICE) group will be in the house showing off their recent innovations in augmented reality and virtual reality. They’ll also be handing out T-shirts and swag all weekend long! Learn more about their services here. 3D printing juggernaut Ultimaker will be on site to provide printing services to our participants! Need to print a prototype? Want to learn more about 3D printing? Ultimaker has you covered. Learn more about their services here. Philadelphia coffee roasters La Colombe will be providing much needed hack-fuel in the form of their signature draft lattes! Learn more about their delicious offerings here. GLOBO is is a B2B provider of language support, data, and insights. Through GLOBO’s cloud-based platform, GLOBO HQ, health systems can access a comprehensive suite of translation and interpreting solutions to increase access for limited-English Proficient patients across the continuum of care. GLOBO will be advising teams from a human-centered design approach. Learn more about their services here. Vynamic, a healthcare industry management consultant group, will be offering advice to teams in the areas of health plans, healthcare technology, life sciences, providers, and public health. Learn more about what they offer here.